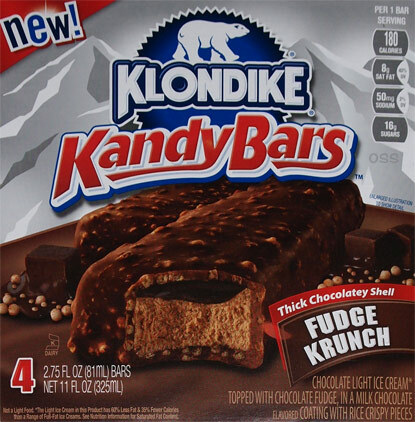 [2014-2017] Ok, I had no intention of trying this last Klondike Kandy Bar so soon, but they were running the 2 for $6 sale again and I couldn't resist. 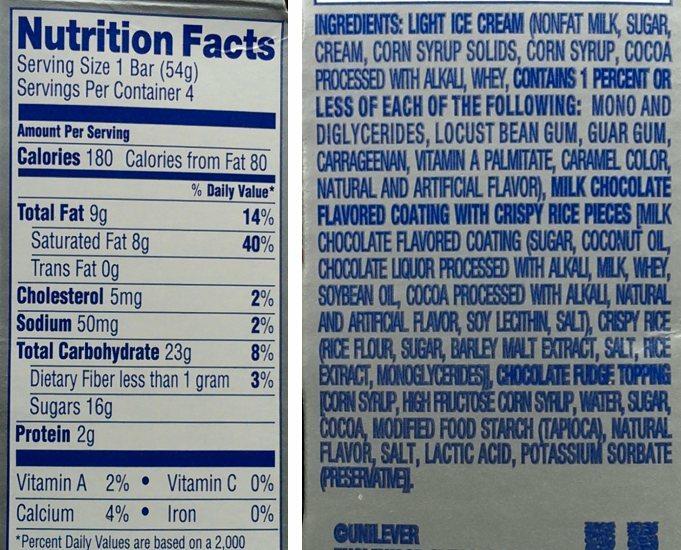 From the beginning, I've suspected that this one would be better then Cookies & Cream and Caramel & Peanuts. Classic silver foil removed, time to dig in inhale. 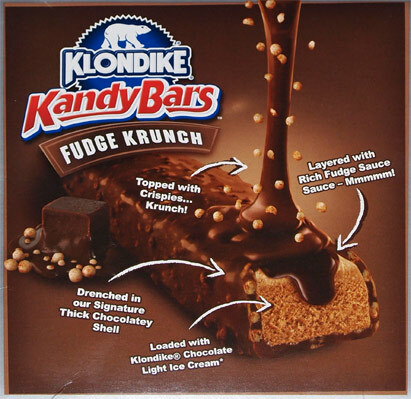 The good news is that there is definitely a CRUNCH bar vibe wrapped around this one, plus the chocolate light ice cream seems to add a bit more resistance than the ice cream in the other bars. Actually, this one kind of reminds me of the chocolate choco taco. Do I love it? Iunno. 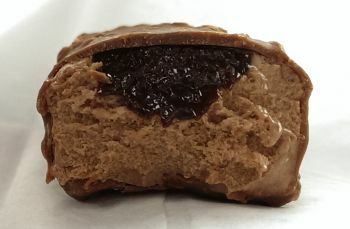 I still think the stripe of budget fudge is a distraction, but overall I think this is my favorite of the three. It's not great, but as soon as I was done, I wanted another, and that's always a good sign. Now that I've gone through them all, I realize that none of them really remind me of a Klondike bar. Why is that? Why not hook me in with that classic Klondike shell? Sure you can argue that it would be too similar to their regular product, but it seems like a missed opportunity to me. It seems like everything today just reuses the brand name without really staying true to the past... ahhh, blame our never ending desire for new products to nosh!